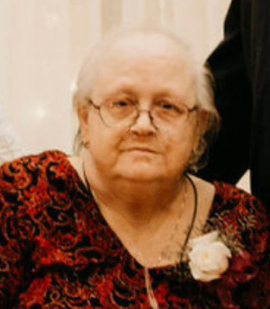 Debra M. Shields, 67, of Bluford, Illinois passed away at 10:01 P.M. February 11, 2019 at Barnes-Jewish Hospital in Saint Louis, Missouri. She was born October 16, 1951 in Chicago, Illinois to the late Frederick and Ruth (Cathcart) Ansburg. She married Lyndel Muriel Shiels on December 12, 1969 in Paducah, Kentucky and he preceded her in death on October 4, 2008. Debra is survived by her sons, Mike “Lenny” Shields and wife, Sandi, of Hayden, Alabama, Kevin Shields of Bluford, Illinois, and Brian Shields of Bluford, Illinois; five grandchildren, Joshua Shields and wife, Mandy, of Fultondale, Alabama, Brittini Roberts and husband, Shane of Warrior, Alabama, Joshua Kennedy of Mount Olive, Alabama, Delena Kennedy and Cece of Birmingham, Alabama, and Jenise Kennedy of Hayden, Alabama; sister, Florence Higgins of Clayton, Georgia; and several nieces and nephews. Debra was a member of Saint Mary Immaculate Conception Catholic Church in Mount Vernon, was dearly loved, and will be missed by all who knew her. A Memorial Service will be held at a later date in Alabama. Memorials, in Debra’s loving memory may be given to the Shields Family, in the care of Lenny Shields.